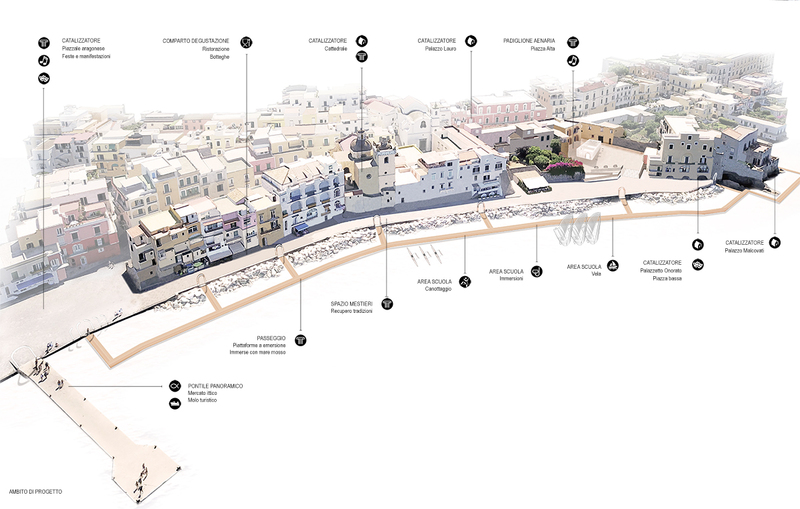 Ischia Ponte, an historic centre located in the Island of Ischia, is characterized by the presence of significant historical buildings as the Aragonese Castle and the Cathedral. 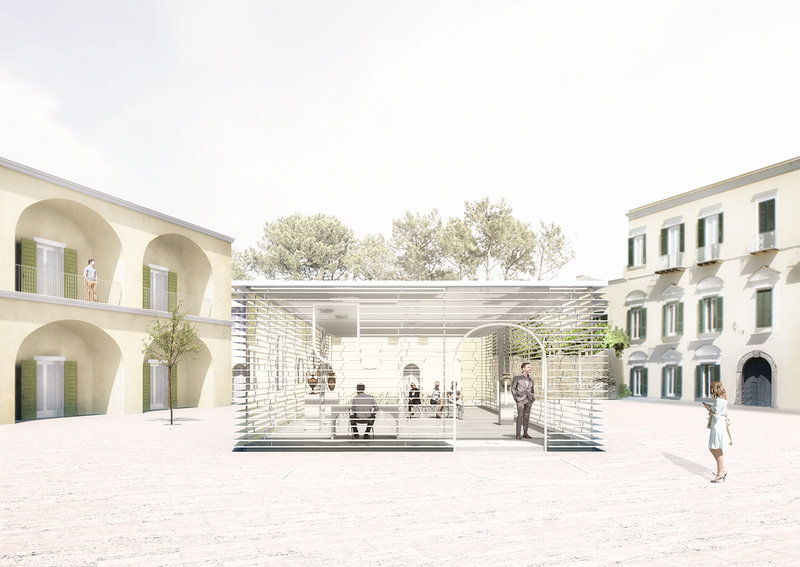 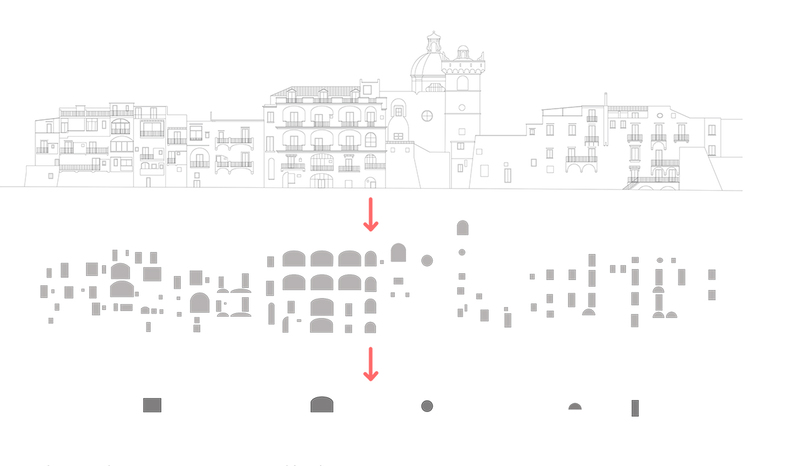 The city launched a process of urban renewal: the project underlines the importance of symbols of the centre because they are intended as the direct extension of the sea, focal points from which the blocks of the old town hall are modelled. 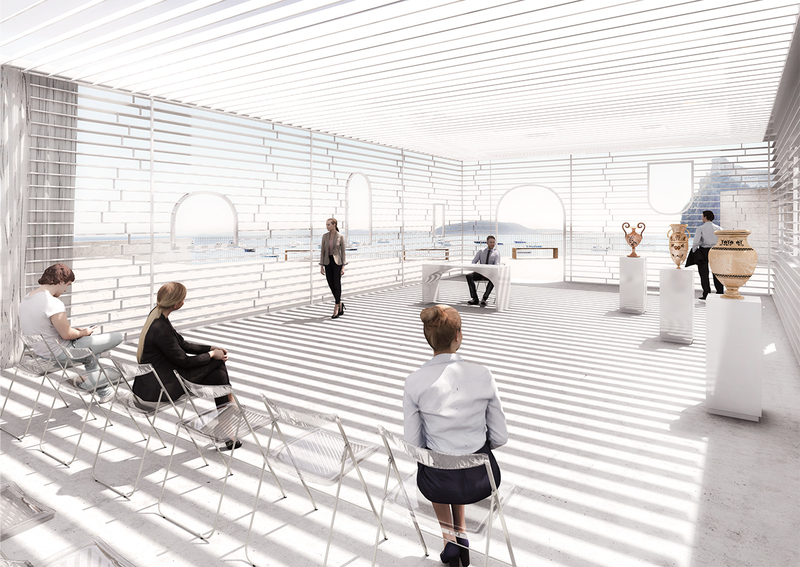 One of the key issues lies in the establishment of a clear relationship between the sea-resource and the city: the seafront becomes a meeting place for the inhabitants while a new pavillion is set up as a scenic wing from which the view opens over the Aragonese Castle.